Following on from my last post – Never Admit to Being a Caravan Designer (Well Not to Caravaners!) I was floored by the number of emails I received on the subject of design. So after our trip out to the Manchester Caravan & Motorhome show at Event City a few days ago, I thought I’d sit down and pen a few more thoughts on the subject. I believe that if you store something where you use it, it will make your life easier. One of the big items that almost every caravan wrestles with is the Aquarol. its bulky, fairly lightweight when empty, often wet from the liquid sunshine we enjoy in the UK and sometimes muddy. Where do you put it when travelling? OK, so you buy a bag to sort out the wet and muddy bit and maybe just put it in the doorway… or in the shower tray. That seems like a good place. Just carry it through your nice clean van and put it in the shower tray. Sorted…. unless you have a mid bathroom shower that has the shower ‘conveniently” located over a wheel so the floor has a step in it. The designers sell it as a feature… “You can rest your feet on it when showering” they say. However don’t stick your Aquarol in there if you have bi fold doors! A fellow caravan enthusiast who shall be nameless – I’ll call him George… decided that this would be perfect for storing the Aquarol. He put it in the shower of his previous rear bathroom outfit for years without incident so no need to change anything. Upon arrival at site in with the first outing of the shiny new caravan all was going well until Mrs George popped her head out of the door and exclaimed to George that she could not get the Aquarol out. “It’s in the shower dear” exclaimed George. Irritatedly “I know that I can see it but I can get it out” came the rather louder reply. On examination of the problem George discovered that the carefully placed Aquarol had somehow shifted and was now preventing the bi-fold door from opening therefore stopping it’s extraction and subsequent deployment and use for brewing that much-needed cup of tea. What’s the moral of this story? Well if you store something where you use it it will make your life easier. So as nearly all caravan users possess possibly one of the best inventions ever for transporting the splashy stuff about with ease why haven’t caravan designers thought about this? I was thinking of George when I was pondering the uses of this cupboard….. There is a matching one on the other side funnily enough… but what did the designer have in mind for these cupboards… shoes (who would want to put wet shoes away in there?) Handbags…. maybe but I prefer to hang mine on a hook. It looks great… on a computer mock-up but as for use, well maybe I have a better idea. As they are right at the back of the caravan you really would not want to store your collection of beach pebbles in them. … it may need a bit of adjusting size wise but imagine a wet locker accessed from the side that you use the Aquarol and wastehog on that you can simply throw these two bulky but relatively light items in… and there would be room for your wet and muddy mains cable too! All right where you need them. Now here is an idea…. put the water inlet in there along with the mains inlet and a small hatch in the floor…. save on cutting holes in the side of the caravan and it means we all might just get away with using shorter mains cables! In a galaxy far far away… oops wrong blog…. I recently watched a chap valiantly trying to manoeuvre his caravan onto an awkward pitch using his motor mover. Stone walled raised bed one side, overhanging branches, awkward access angle all on a short pitch with a stone wall at the back of the pitch. Normally I’d postulate that the chap in question would have been able to perform this manoeuvre on a sunny afternoon with remote control in one hand, a mug of tea in the other while carrying on a conversation with the couple two pitches down. However at eight o’clock on a winters eve in near wartime blackout conditions required the use of a head torch (flashlight for my US readers) and a lantern held aloft by his partner and much wandering side to side and swivelling of the head to direct the head torch in the desired direction. We don’t have a motor mover… for some reason Sue seems to take enjoyment from me sweating like a traction engine driver at a summer steam rally when reversing on to a pitch… but if we did, the question I’d have to ask is why don’t they have a 13 pin socket wired in so that you could simply plug-in the caravan’s road lights and turn on the reversing lights, hazard lights… heck even get the marker lights and brake lights to work. I’m sure there are people out there that have to detach their caravans on the road and reverse them into their drive and having simple flashing hazard lights and operational marker lights would be a good safety feature. I have a small cunning device waiting to be fitted…. it consists of a remote key fob and a couple of solid state relays to be mounted in the caravan. On selecting reverse while seated in the vehicle I can simply push a button on the key fob and it will turn on the awning lights and can be made to turn on under floor LED flood lights to light up either side of the caravan. It stays on for a pre-determined time that can be adjusted so if you have to pull forward for a second attempt (highly likely) the lights stay on. Just waiting for a suitable time to mosey off down to the caravan storage site to do a test fit. For those go you that have been following the blog for a while will know we have been flip-flopping like a stroppy teenager over getting a new caravan. Well we were…. then we weren’t than we were, then we changed our minds about what we wanted. Then we couldn’t;t find one and we changed our minds again… anyhoo we managed to tick more boxes off our list with one of these than any other….. So the question is….. will we or won’t we? Will there be a deal at the NEC in February to tempt us…. or will we wait until the August price slashing begins? By the way if you wanted to know how George managed to retrieve the Aquarol…. it required a wire coat hanger and a length of paracord…. and about four hours of fishing to raise the Aquarol up above the step in the shower tray. It’s that time of year again, a few days before the opening of the North’s biggest caravan and motorhome show and the first of the New Year at Manchester’s Event City and again we are sat thinking about changing the van this year. Mind you we were convinced last year… and the year before we were going to change the caravan. In 2017 we went to the shows, round dealers and almost did the deal. However a few things just kept us from signing on the dotted line. We also came close last year, but again there were design elements that just didn’t sit right with me.. or t least would make me compromise more than I wanted to. So here is my guide to any caravan designers out there working on the 2020 design that they hope is going to be the next winner. A locker containing a TV swing out arm…. OK stop watching American RV shows right now. What were you thinking guys… We don’t sit round campfires watching TV in the middle of the Mohave… honestly we don’t. If people want to watch TV in their awning I’m pretty sure they will have come up with a way by now that suits them. It’s not even like you designed the thing so that you could leave a 24 inch TV permanently mounted and closed away securely in the locker. While we are on the subject of TV’s…. stop putting the radio in a cupboard in the front of the caravan… put it near where you provide a TV mount. A lot of thin screen TV’s have poor speakers and a great solution that many caravaners opt for is connecting the TV sound to the radio AUX input… but a lot don’t because it becomes a major challenge routing a pair of screened wires round and through all the cabinets. Make it easy, put the radio near the TV, install a AUX jack and sell it as a feature! Right, which designer is going to own up to designing a storage space in the wardrobe in the rear bathroom of a van to store the table. Did you design the van and at some point while you were stood at the coffee machine someone say to you “Dude I didn’t see where you stored the table in your design” and you immediately rush back to your workstation and in a panic put in the wardrobe in the rear washroom. It’s on the other side…. or end! Right I want all designers to go and stand on empty pitches at five caravan sites and look round. What do you see? Bollards…. you read that right Bollards… at the rear of the pitch. Why there you may ask? Well designing a site or upgrading a site if you can avoid digging across a pitch to install services it tends to be cheaper and easier to reinstate the ground afterwards, so most are laid out that way for cost and convenience. Is been like that for quite a few years. So why do you insist in keep designing the power, water connections at the front of the caravan… and some of you just for good measure put one on each side. If you take the common size pitch and park your caravan in the middle throw up a mahoosive flappy tent thing on one side and connect up your Aquarol (other water containers are available) then try to squeeze your tow car down the other side – that is if you have the room with an 8 foot wide van – avoiding parking so that vehicle door can actually open without bashing the water container or the passenger can actually squeeze past. Here’s an idea…. put the water inlet and power inlet on the rear off side corner and while you are at it check out how American RV’s have a locker with all the connections inside and a convenient opening in the floor to pass the connections through. That would save cutting holes and installing expensive fittings. While you are at it moving the water about, here’s an idea, install a simple Hozelock fitting with a check valve and pressure regulator so when on a device pitch, rather than expecting customers to buy expensive adaptor fittings, they can just buy a cheap food grade hose to hook up. Could this be the next USP I wonder? To off grid or not to off grid?.. that is the question. I applaud the designer that moved the leisure battery from a side locker to under floor mounting and moved the gas bottle from the front to the side. Heavy items, get them low and in the centre I say. However, next year go one step further… make the battery locker bigger to accommodate two batteries and ready for Lithium… which may mean insulating them. Nearly all caravans are sold now with solar panels, but it would be nice to be able to choose to install an additional battery to take advantage of the solar without having to start installing aftermarket sealed and externally vented battery boxes. …. well it might be but I can’t see it. It’s time to offer a rear view camera option on all caravans now I think for safety’s sake. A lot of motorhomes are offering it as an option or a standard fit. While it is fairly easy on a motorhome as the display choice is dictated by the designer. For a caravan it’s slightly more complicated as some vehicles have rear view systems built-in, some have nothing so how do you decide what to install? Simple really.. most systems use composite 1 volt peat to peak video and there are dozens of components out there on the internet that allow this to be digitised, scrambled, flipped and sent vis radio, bluetooth, over power feeds and via IR so it can’t be that difficult or expensive to install a system with a remote screen at a sensible price point. The biggest hurdle for anyone contemplating installing a rear view camera system is actually mounting the camera on the caravan body and running all the cables. Unless you have towed a trailer with electronic brakes you will never know how horse and cart our current over-run hitch brake system is. In the land of the… that lot over the pond, have been using electrical braking systems for a while and in the land down under (Straylia… YESSSS….. for John Cadogan fans) ALKO have been offering a system for a number of years that is really just an extension of their caravan chassis ‘kit of components’ and could easily be adopted for European component chassis. Now a lot of you know from my past volumes of scribblings I kind of enjoy delving into caravan dynamics and I really want a caravan with electronic brakes. OK before the comments come stating that under current regulations you are required to have over-run braking system etc etc…. yep I know. However from my poking around this subject for over 18 months now, it seems that you can fit electronic brakes as long as the existing over-run setup is retained. Ok, not one of my usual blog posts. I get a lot of email asking about various electrical items related to caravans and motorhomes and a few things seem to keep cropping up on a regular basis. One is to do with 12 volt relays… what types are there and what are the pin connections. Another is to do with cable size relating to load and its relation to the length of cable…. “I have a 40 Amp load and its 3 metres from the battery… what size cable do I need?” type questions. In the past I’ve emailed back with answers, but one caravan engineer asked me if I know of any information sheets that had this type of info that he could put above his workbench. I have stylised them as technical drawings and I’ve had to watermark them and some of the icons as I found a lot of my drawings were ending up “as is” or edited on various sites and forums without any credit or link back to Caravan Chronicles. You are free to print out and use them for your own personal use, but if you wish to use them (or any of my drawings) for commercial use, inclusion in blog posts or forums please include a credit line back to CaravanChronicles.com and drop me a line to let me know. We are just back from Chester Fairoaks after doing the Chester Christmas market and a bit of shopping at Cheshire Oaks Designer Outlet Village and will be adding off to York for a bit more Christmas Market action. Something For The Next Caravan? When you are starting to look for a replacement… or even your first caravan, you collect ideas. You see something and think “that’s a good idea” and from that point you start judging all other caravans against that ‘thing’ you have in your mind that you think is a good idea. After a while you start to build up a collection of “that’s a good idea” and ‘thing’s’. What your mind builds is a perfect caravan for you and that is what you are endlessly searching for.. your perfect caravan. Well here is a “that’s a good idea” that is one of a collection for my perfect caravan. 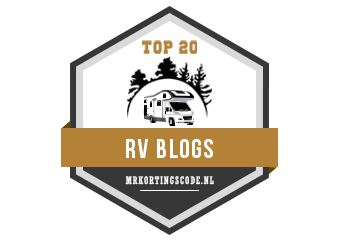 If you have ever watched any of the American RV walk rounds one thing that is common to them all is they all have slide outs… heck even some slide outs have slide outs of their own. (I’m waiting for the next super king cab dually pickup truck to have a slide out..!) Nope it’s not a slide out I’m thinking of though. Although it might seem quiet here at the Caravan Chronicles pitch there have been a few things going on behind the scenes so I thought it was time for a catchup and a chat. I guess this really is the update to an update (Getting All Charged Up – Update…). We have been living with the Sterling Wildside unit now for about 6 months and a LOT of people have been emailing me asking how we are getting on with it and is it worth it? Wow… it’s been quite a while since our last posting, and many thanks to all those of you who have emailed asking if we are OK. We are both fine, thanks. Back in October we were due to go to the Caravan & Motorhome show and we had booked in to the campsite at the NEC for 4 days. However, the day before, we actually wondered why we were going. Plenty of other bloggers and video bloggers would be going and posting on YouTube. I guess the plethora of video bloggers filming each other meeting other video bloggers wasn’t what we were about…. so we went to the C & M Club site at Southport instead. They Say Things Come in Three’s…. … well I hope they don’t!! Number One. We were supposed to go to York a few days ago for a five-day break. However that got scuppered at the last-minute by one of our Siamese cats. Polo who is 14 years old suddenly decided he was not very well and it looked like it could have been touch and go and would have warranted that sad last trip to the vet. Something we absolutely could not ask our long-term cat sitter (and house minder) to make. However as it was the sunniest week we have had so far (just our luck) he decided rally round and he’s now fine.. or as fine as a 14-year-old Siamese can be. You know there are times when I think the service industry is going down the pan.